It's simple. Ride as many mountainous tours as you can. Each tour has a corresponding number of points designated by its elevation (Mountain Points). The more elevation you climb, the more points you will receive. 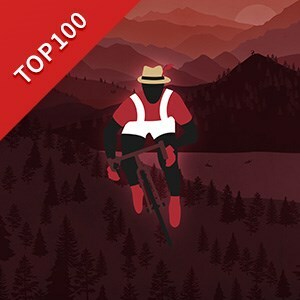 Riders who reach 100 points will receive a King of the Mountains Badge and unlock the ability to purchase the Official King of the Mountains jersey. Plus each rider who earns their badge will be entered into a lottery to win $100! The team with the most points will win the official KOM Trophy.